The mild flavor and soft texture of white bread make it ideal for sandwiches and toast, as well as especially appealing to children. The taste, color and texture of this bread come at a cost, however. The refining process that makes wheat flour whiter and sweeter also removes many of the wheat's beneficial nutrients and fiber. 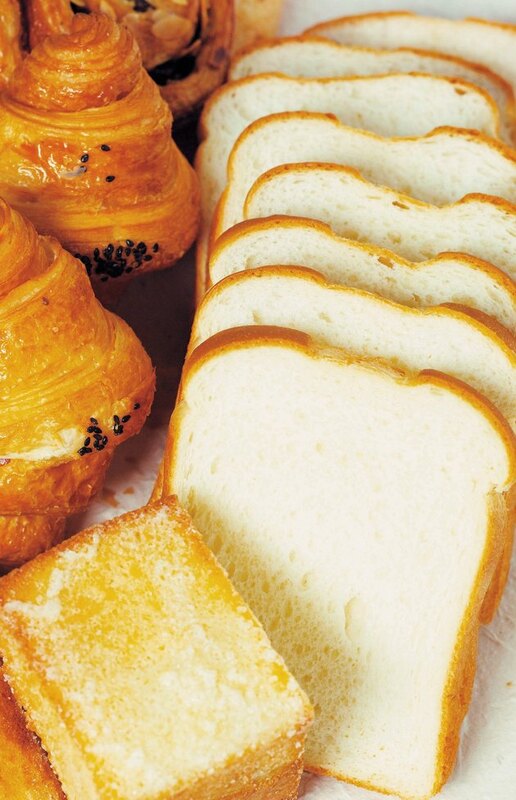 White bread contains some fiber, but it's not an ideal fiber source. White bread is a low-fiber food; one medium-sized slice contains 0.6 g fiber. Men ages 19 to 50 need 38 g iber daily, and women in this age group need 25 g daily, according to experts from the U.S. National Academy of Sciences Research Council. Four slices of white bread supply around 6 percent of your daily fiber requirement if you're a man in this age group and around 10 percent if you're a woman. Most of the fiber in white bread is insoluble fiber, which is present in grains, beans and vegetables. Unlike soluble fiber, insoluble fiber doesn't dissolve in the digestive tract. Instead, it adds bulk to the waste matter in your digestive tract, making it softer and helping it move through more easily. This type of fiber also contributes to a feeling of fullness, which you may find helpful if you're trying to eat less to lose weight. A slice of whole wheat bread provides around 1.9 g of fiber, significantly more than the amount in white bread. Whole wheat bread is also richer in nutrients like vitamin E and B-complex vitamins. These factors make whole wheat and other whole grain breads overall healthier choices than white bread. If you dislike brown whole grain bread, whole grain bread made with white wheat provides an alternative, notes registered dietitian Heather Hawkes in an article for Aetna InteliHealth. White wheat doesn't require refining to create the color and flavor of typical white bread, so more of the grain's nutrient content remains intact. White wheat breads are more processed than whole grain breads and may contain more additives, so whole grain products are still the healthier option. If you prefer refined white bread to whole grain breads but need more fiber in your diet, adding vegetables to your sandwiches is one way to meet your goal. Iceberg lettuce contains 0.7 g fiber per cup, whereas 1 cup of romaine lettuce contains 1.2 g, making romaine a better choice for sandwiches. Sliced celery, shredded cabbage, grated carrots or beets and chopped broccoli or cauliflower also add fiber and nutrients to white bread sandwiches.